At qrw.com, Richard Elia has written an essay entitled "Wine's Decline" that is certain to stimulate a great deal of conversation (read here), given that he is critical of the way wine is being viewed in today's society. It's a no-nonsense, highly opinionated piece of writing that will anger some people, but it contains a lot of things that need to be said. A few introductory words about Elia and qrw.com. Elia was the publisher of Quarterly Review of Wines, a magazine aimed at savvy wine consumers; it was published for 35 years and featured articles by several Masters of Wine from various places around the globe as well as some of the leading wine journalists of the past few decades (full disclosure - I wrote for the magazine for 13 years). Elia and his editor Randy Sheahan maintained a sophisticated magazine, one that dealt with the leading personalities of wine. You could read an article about a winemaker in California, Italy or France (or many other places) and learn what made him or her tick. This was a magazine that wanted to go beyond technical information - although there was a good amount of that when necessary for any particular article - and get straight to the human side of wine. Perhaps best of all about QRW was that while there were wine reviews - there would have to be in any wine publication - these were judgments such as "outstanding," "excellent" or "very good" or something similar, depending on how the author of a piece wanted to let the readers know how special a wine was. Elia never went down the points path; his quote that kicks off this post gives you an idea of how he felt about such things. This was Elia being consistent with a philosophy of dealing with wine as an extension of a particular place and/or individual. For Elia, wine was - and is - the result of many things, some of them technical, but many of them emotional or even ethereal and how do you score that? More simply put, as wine is a sensory experience, my experience is going to be different from yours, so how can a point value sum up what that experience was about? I mentioned that Quarterly Review of Wines was in business for thirty-five years; the final issue was that of Autumn 2011. In this online essay, Elia briefly deals with the reasons why he ceased publication - advertising revenues weren't what they used to be and of course, more people today are eschewing magazines for online sites. "With the web, anybody can be a wine writer, regardless of expertise," Elia writes in this essay. Elia tackles several subjects in his piece, ranging from wine bloggers to the way large corporations market wine, treating it as a commodity. But his main theme is about how the romance of wine has been lost in today's world. Technology has a lot to do with that as do ratings, of course. Wine can be a wonderful experience for us - think about a bottle of wine you enjoyed during a visit to Napa Valley or to a small producer in Burgundy, Champagne, Piedmont or Tuscany. That wine was something special because of a number of reasons, not the least of which is that you were tasting it close to where it was made; indeed you may have tasted it with the person that made it. 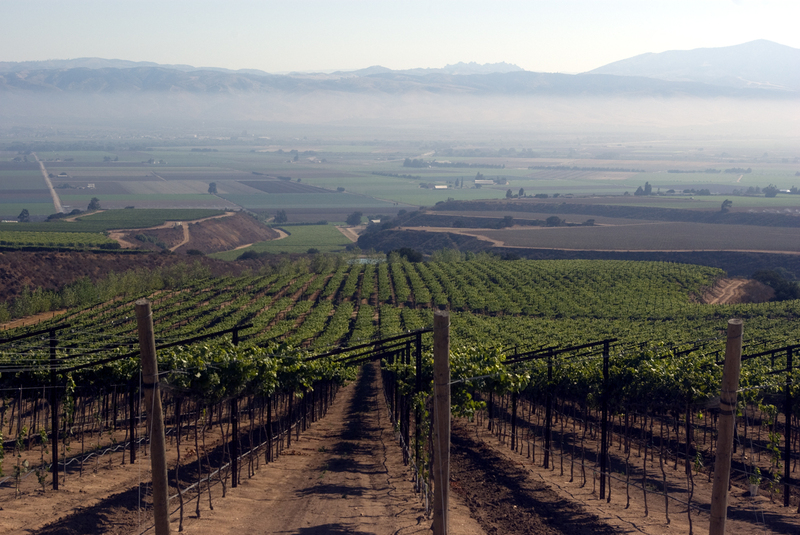 But you can enjoy a special experience without traveling to a wine region. We've all tasted some pretty remarkable wines at restaurants and of course, the wine was notable not only for what was in the bottle, but for several other reasons, be it the food that accompanied the wine or simply, the people we enjoyed it with. 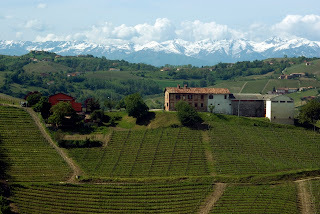 In his essay, Elia tells the story of how he saw a couple at a restaurant ask the wine steward about a particular wine. The sommelier, instead of telling the diners a story about where the wine came from or the flavors it displayed, merely took out his cel phone and showed them the points the wine had received in a recent print review. Now certainly most wine stewards do not act in this fashion; most are very personable individuals who are eager and willing to share their knowledge about wine and help make a diner's experience a more valuable one. But the mere fact that this happened is a clear sign of the times. This technical approach to wine in the digital age is what has Elia upset. Certainly he is not surprised by this new way of informing the public about wine, but for the ease of technology, we lose out on the romance of wine. Think about the work of writers such as Steinbeck, Faulkner, Hemingway and Fitzgerald; they were not considered great writers because they used proper grammar. Rather these four are remembered as the most celebrated American authors of the 20th century because they wrote from the heart about their life's experiences. They told stories that we treasure. That same approach needs to return to wine is what Elia is saying in his piece. But in this day of rating wines by points and in today's market where wine is too often treated as a sales unit, will the notion of romance return? I'd like to think so and I'm certain Elia does as well, but the reality is that you can't put a numerical value on emotion. As we all hear far too often in our everyday lives, everyone's busy, everybody's pressed for time. Thus a quick check on the smartphone is a hell of a lot quicker than listening to someone teach us a few things about wine. That takes time and who's got enough of that? In the end, Elia seems to be saying, we lose out on any notion of wine speaking directly to us. And that's a shame. P.S. I wrote that Elia's essay is certain to stimulate a great deal of conversation. But of course, that can only happen if enough people read it! I mention this because when Elia decided to cease publication of QRW in print form, the news was met with very little publicity. Another unfortunate sign of these digital times, sad to say. 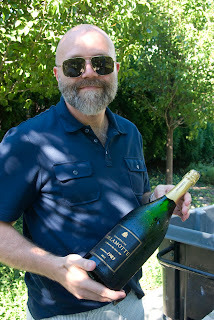 On a magnificent 84-degree August day in Chicago - clearly the most beautiful we have enjoyed during this routinely oppressive summer - I celebrated the variety and brilliance of Champagne along with a few dozen friends at a special outdoor tasting in a private park. Entitled Champagne in the Second City, this was a tasting that combined dazzling wines with great food in a relaxed atmosphere that reminded all of us who attended that Champagne - and life - is not just good, it's great! This event was the idea of Craig Cooper, wine director for Pop's for Champagne in Chicago, one of the country's finest venues for everything sparkling. Pop's, under the leadership of founder Tom Verhey and his wife Linda, was founded 30 years ago on the north side of Chicago; in 2006, the Verheys moved to their current location in downtown Chicago, where business dramatically grew and has stayed relatively strong ever since. 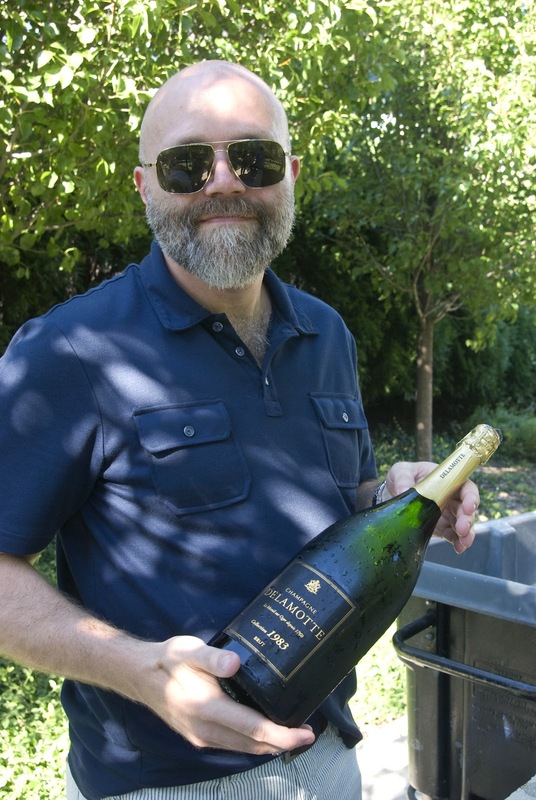 I wrote about Pop's and Verhey in a post last December (read here), in which he described Cooper as "probably the most Champagne-savvy person in America." High praise, especially if you know Verhey, someone who is down to earth and not given to hyperbole. Flash forward to this past spring when Cooper invited me to a special tasting celebrating the 30th anniversary of Pop's that was to have been held at the wine bar back in May. To make a long story short, not everything came together as the support from certain individuals did not materialize. Yet several friends of Cooper and Verhey did come through with a variety of special bottles, many of them very limited production releases, so Cooper did the next best thing and scheduled this event for a summer afternoon when our small group could enjoy these wines amidst the beauty of the Chicago skyline. Cooper assembled two dozen Champagnes from various small producers, most of them recoltant- manipulant. For most wines, there were two or three bottles of a specific cuvée, while in some instances, we enjoyed the wine from a magnum. The selection was magnificent, ranging from the 1995 Krug (in magnum) to the 1999 Pol Roger Blanc de Blancs along with some sought-after selections such as the 1998 and 1999 Jacques Selosse Blanc de Blancs Extra Brut, the 1999 and 2002 Egly-Ouriet Grand Cru and the 2000 Jacquesson Avize Grand Cru. As I said, what a magnificent group of Champagnes! An Afternoon Taste Sensation Awaits! 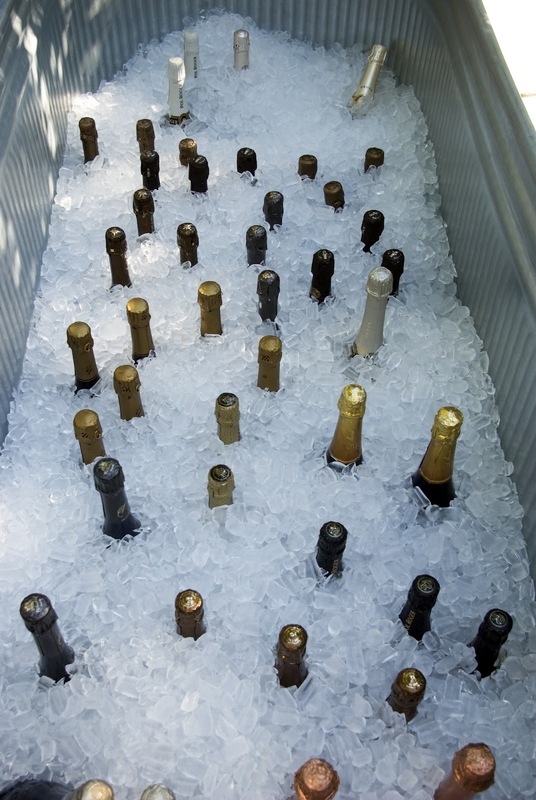 When you've got this many great Champagnes together, how do you choose the best? Well, you don't - what you do is taste and discover the differences in the wines according to a number of reasons, be it the cuvée itself, the time spent on the yeasts or the personal philosophy of the producer. As Cooper told me when he opened the bottles of Jacques Selosse, he admired these wines because of their distinctiveness. 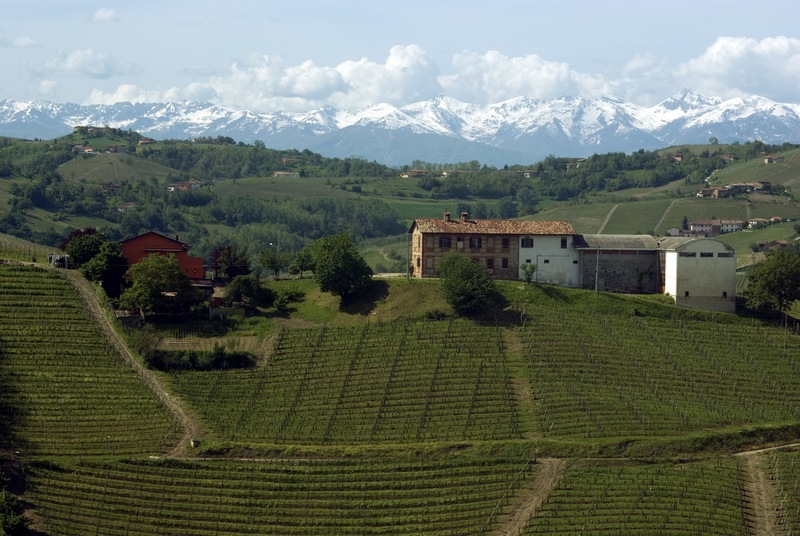 "I always find something different with Jacques Selosse as compared with other champagnes." Those two wines were among my very favorites this day as well; both are deeply concentrated wines with outstanding structure and persistence; the two wines perfectly displayed the vintage differences, with the 1999 being more powerful as compared to the 1998. I preferred the elegance and finesse of the relatively lighter 1998, although there is little doubt that the 1999 will in five to ten years' time become a more subtle wine. I'm a huge fan of Rosé Champagne and while there were only a few available for tasting, they were first-rate. 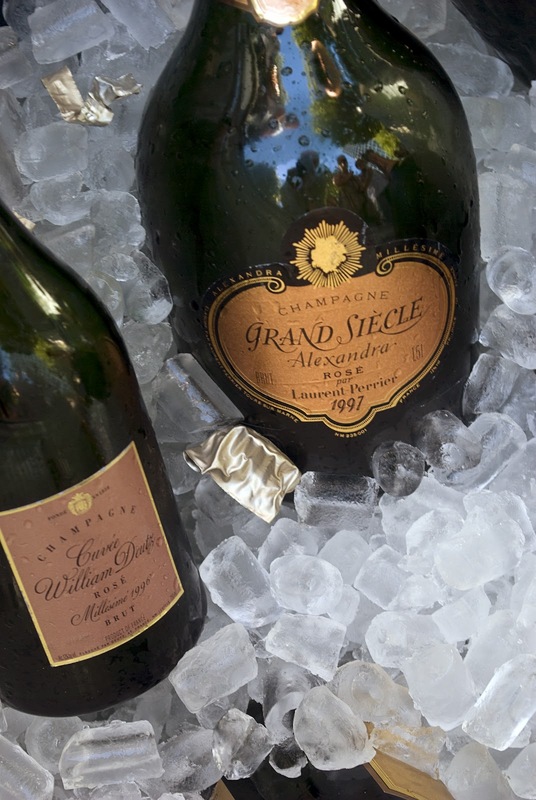 The 1996 Cuvée William Deutz had lost much of its color, but the wine was full-bodied with a big finish with excellent acidity. I absolutely loved the 1997 Laurent Perrier "Cuvée Alexandra" Rosé (served from magnum), which had a deep copper color, excellent freshness and beautiful finesse. This is a terrific rosé Champagne. Other favorites poured this day included the 1995 Krug, an exquisitely balanced, deeply concentrated wine, the 1999 Bruno Paillard, a wine I loved for its focus and balance and the 1983 Delamotte, a wine of great freshness, even after 29 years. I couldn't stay all five hours, so I missed several glorious wines such as the 2002 Agrapart Blanc de Blancs Grand Cru, the 1999 and 2000 Pierre Peters "Les Chétillons Blanc de Blancs Grand Cru and the 2002 Paul Bara Special Club Grand Cru, but I enjoyed the amazing selection of wines I sampled that day. 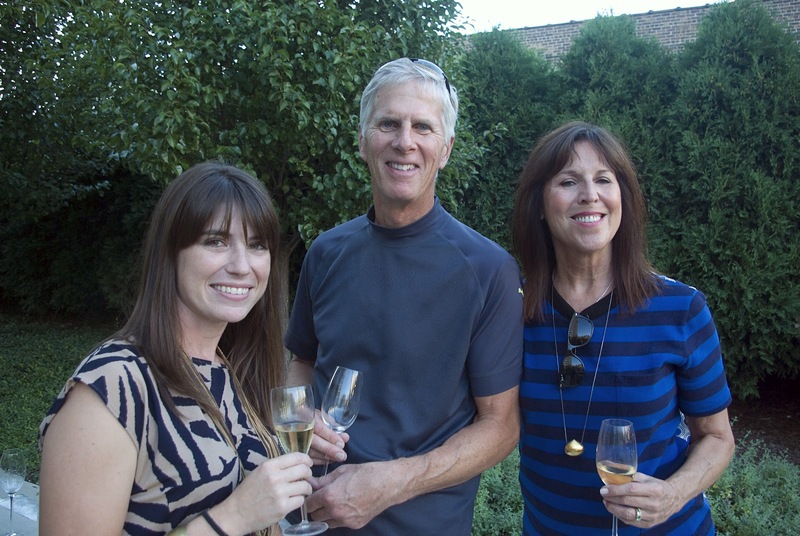 Thank you to Craig Cooper for his hard work organizing and running this event and thank you to Tom and Linda Verhey for giving us Chicagoans 30 years of sparkling bliss!